Learn how you can experience the gift of giving back, while planting the seeds for a grassroots movement of social change and transformation. 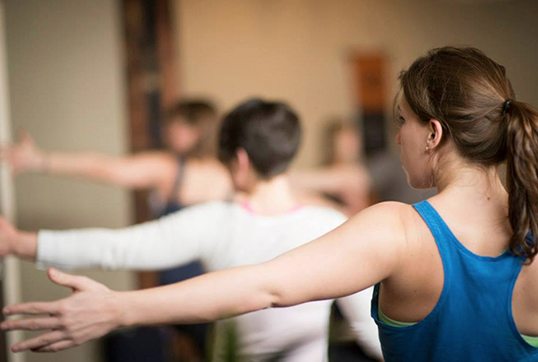 Find a training in your area, and learn how to share yoga with those who can benefit most. 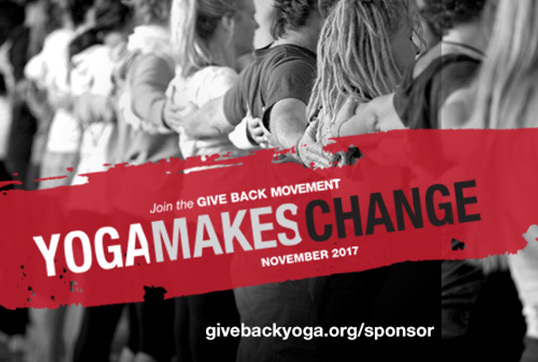 You can also help us to build a powerful yoga service community by coming together at a Give Back Yoga event. how can i serve? helps build a foundation for becoming a yoga service teacher. Gain the knowledge and resources to get you into action and contribute to the yoga service movement in your own unique way. 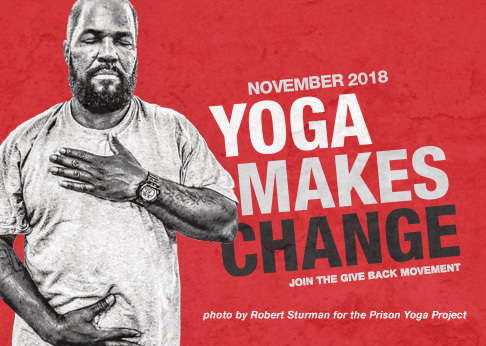 Held each fall, Yoga Makes Change is a month-long service project that invites yogis to join a global movement of hope and healing. Join us in raising awareness and making change. Make a donation of any amount to help fund one of our service programs, distribute free resources for underserved groups or to support our operations. Every dollar makes a difference! Spreading the word about yoga service opportunities and adding our voices to the conversation about social change does matter…and collectively, we can make a difference. Follow us on social media and amplify our shared mission. We’re proud to be led by a team that brings together a passion for giving back and a commitment to effectiveness — a combination that earned our co-founders the 2013 Karma Yoga Award from the International Association of Yoga Therapists. Meet the team. The talented and compassionate yoga teachers who make up our Advisory team include some of the most respected names in the yoga community.